Limited Time Manufacturer Rebates & Exclusive Offers! 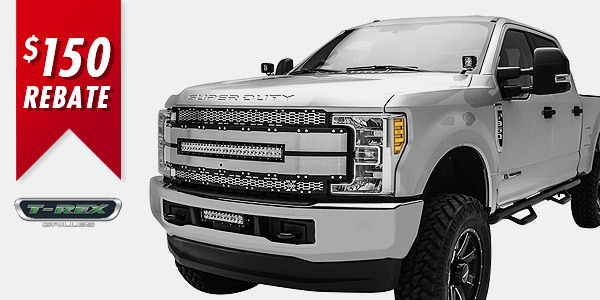 Buy any T-Rex Torch Grilles and get up to $150 Mail-In Rebate! Valid between August 1 to 31, 2018. 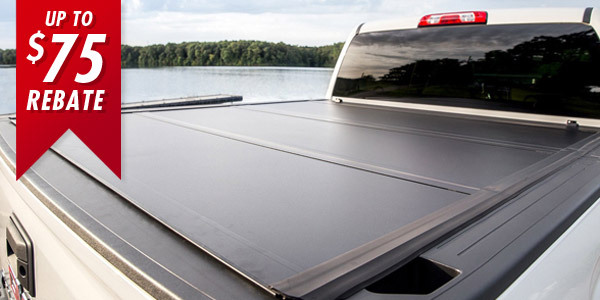 Buy any Extang Solid Fold 2.0 Tonneau Cover and get $100 Mail-In Rebate! Valid between July 13 to August 30, 2018. 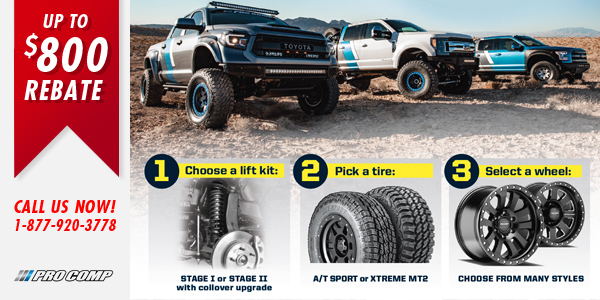 Buy a set of 4 Pro Comp Tires, Wheels, and a Suspension kit and get up to $800 Mail-In Rebate! Call us to order! Ends August 31, 2018. 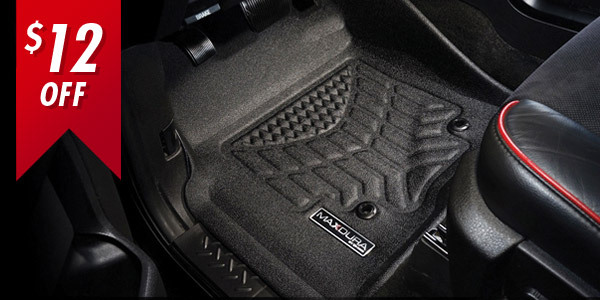 Get $12 off the 2nd row and $12 off the third row of 3DMAXpider Floor Mats. Discount will be automatically applied in cart. Limited time offer. 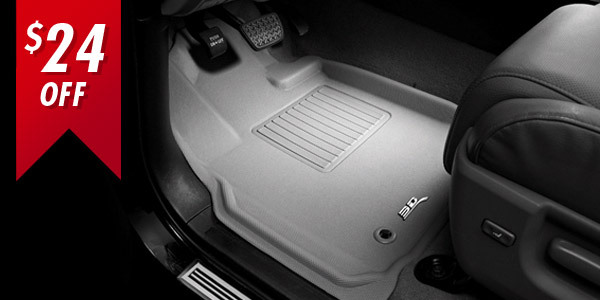 Get $12 off the 2nd row of Maxdura floor liners. 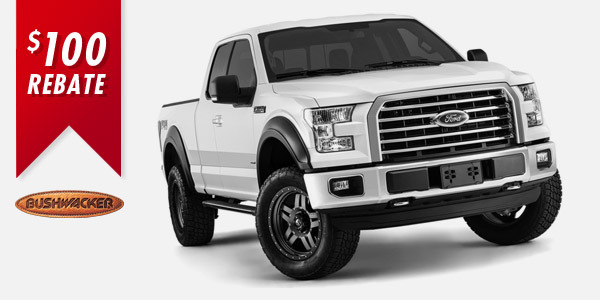 For Pickup Trucks only. Discount will be automatically applied in cart. Limited time offer. 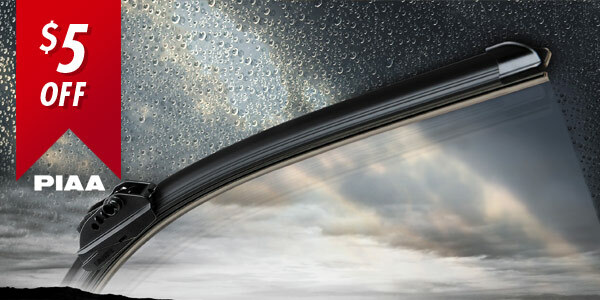 Save $5 when you purchase a pair of PIAA windshield wiper blades. Discount will be automatically applied in cart. Limited time offer. 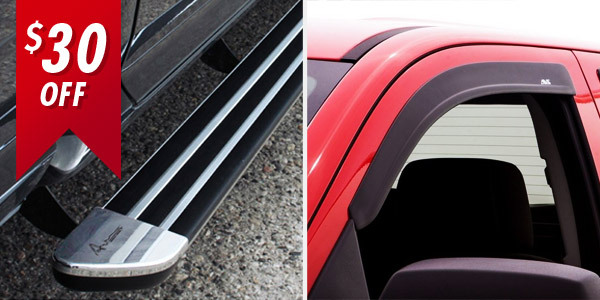 Save $30 with the U-Guard Avion Running Board and AVS Ventvisors bundle. Original Price $530. 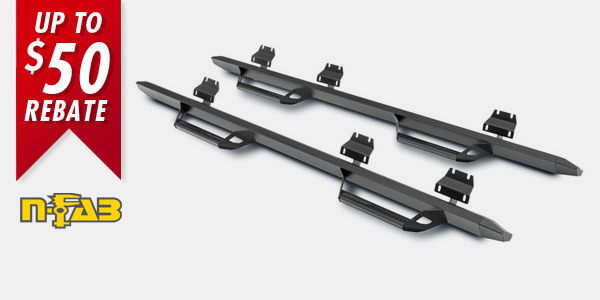 Buy any N-Fab Predator Pro or Nerf Side Step bars and get up to $50 Mail-In Rebate! Valid between July 20 to August 20, 2018. 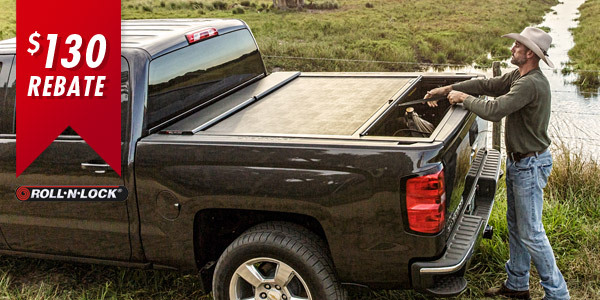 Purchase any Roll-N-Lock A, E or M-Series Cover and get a $130 Mail-In Rebate! Valid between April 16 to June 30, 2018. 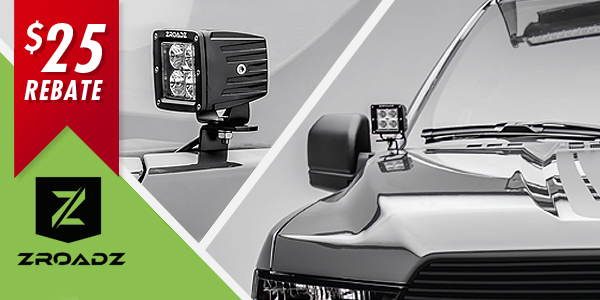 Purchase any ZROADZ Hood Hinge Kit and get a $25 Mail-In Rebate! Ends June 30, 2018. 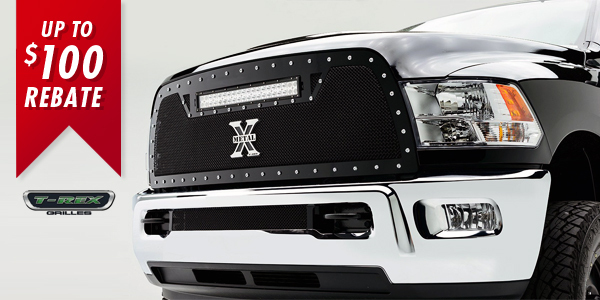 Purchase any T-Rex Billet Grilles and get up to $100 Mail-In Rebate! EndsJune 30, 2018. 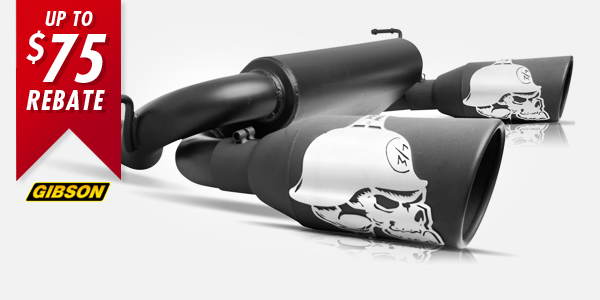 Purchase any set of 4 Bushwacker Feder Flares and get a $100 Mail-In Rebate! Valid between April 16 to June 30, 2018. 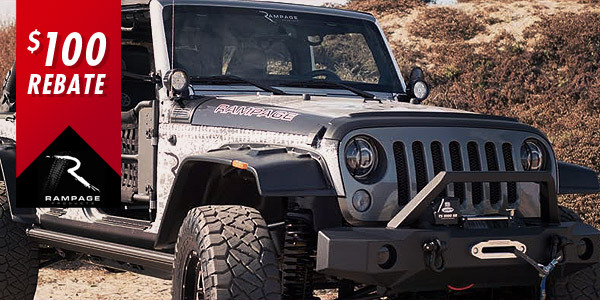 Purchase an Rampage Taillguard Bumper, Frame Trail or Trailview Top and get a $100 Mail-In Rebate! Ends June 30, 2018. 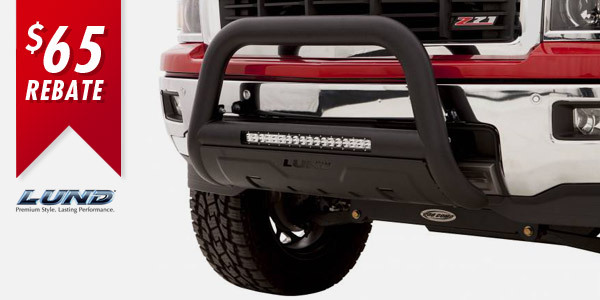 Purchase an Lund Bull Bar and get a $65 Mail-In Rebate! Valid between April 16 to June 30, 2018. 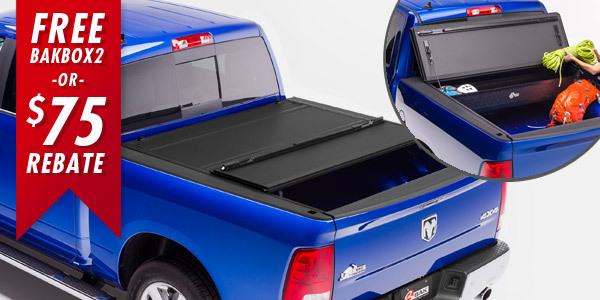 Purchase a Extang Trifecta 2.0 Tonneau Cover and get a $50 Mail-In Rebate! Valid between May 14 to June 30, 2018. 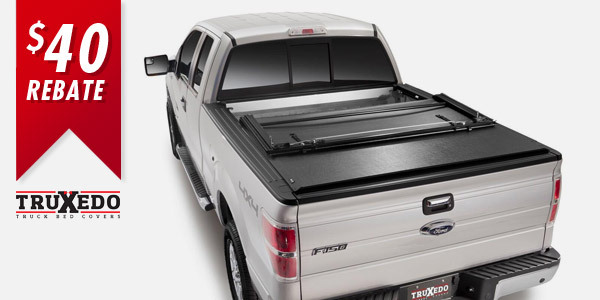 Purchase a TruXedo X15 Tonneau Cover and get a $50 Mail-In Rebate! Valid between June 1 to June 30, 2018. 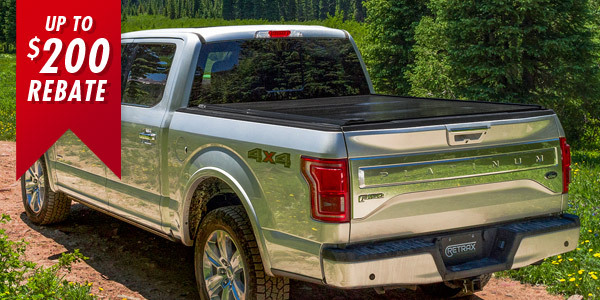 Purchase a TruXedo Deuce Hybrid Tonneau Cover and get a $40 Mail-In Rebate! Valid between June 1 to June 30, 2018. 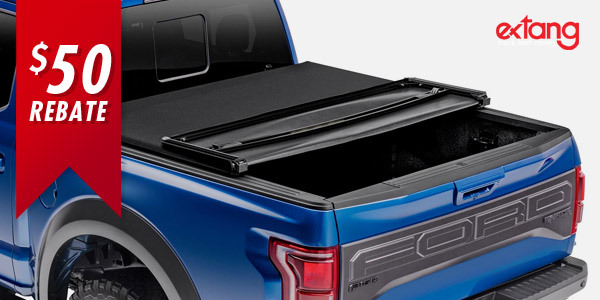 Purchase a TruXedo Lo Pro QT Tonneau Cover and get a $30 Mail-In Rebate! Valid between June 1 to June 30, 2018. 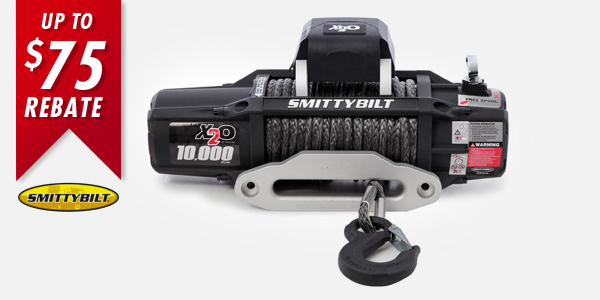 Purchase any Smittybilt Gen2 X2O Winches and get a $50 Mail-In Rebate! Valid between APRIL 1 to June 30, 2018. 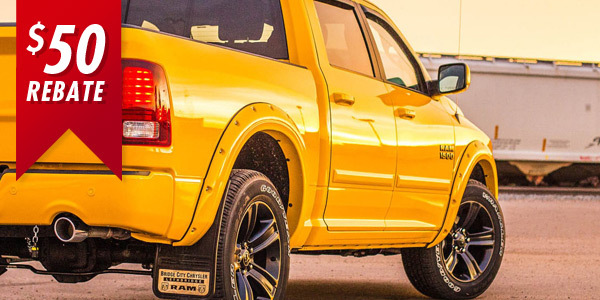 Get a set of EGR Bolt-On Painted Fender Flare and get a $50 Mail-In Rebate! Purchase must be made between APRIL 1 to June 30, 2018. 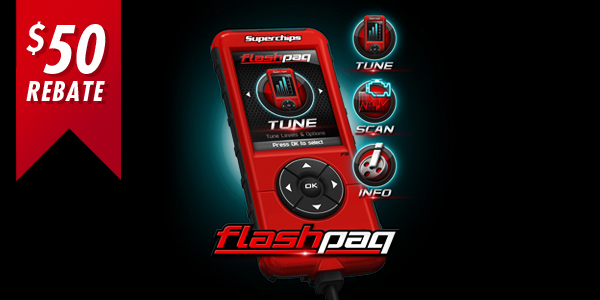 Purchase a Flashpaq F5 Programmer and get a $50 Mail-In Rebate! All purchases must be made between MAY 1st - June 30, 2018. Purchase any Gibson Product and get up to $75 Mail-In Rebate! Minimum purchase of $200. Valid from: JAN 1st - June 30, 2018. 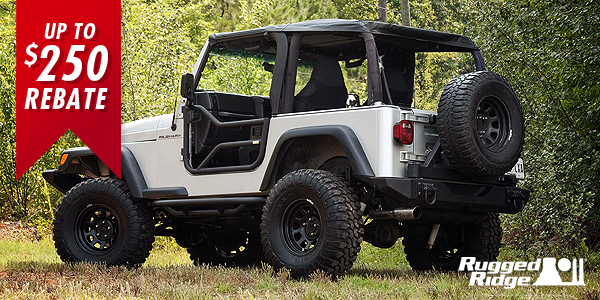 Buy any Rugged Ridge Half Doors or Tube Doors and get up to $250 Mail-In Rebate! Valid between June 1 to June 30, 2018. 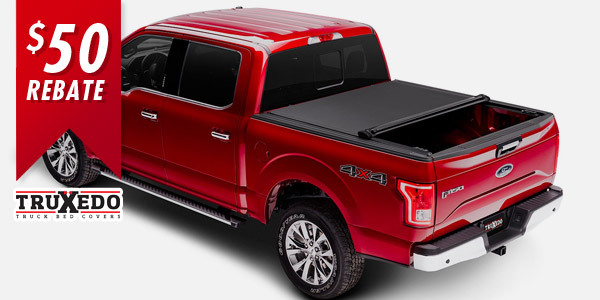 Purchase a Bakflip MX4 Tonneau Cover and get a $75 Mail-In Rebate or a Bakbox 2! ($300 value) Valid between June 1 to June 17, 2018. 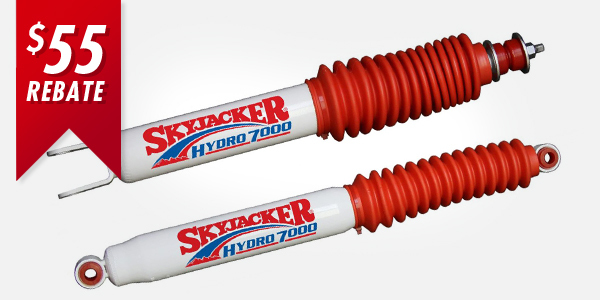 Purchase any 4 Skyjacker® Hydro, Nitro, Black MAX Shocks($35) or 4 Monotube Shocks($55)! Valid from: MARCH 1st - MAY 31, 2018. 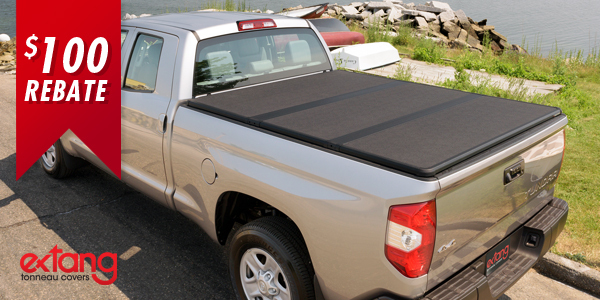 Purchase a Retrax IX Bed Cover and get a $200 Mail-In Rebate! All purchases must be made between Feb 1 - March 31, 2018. 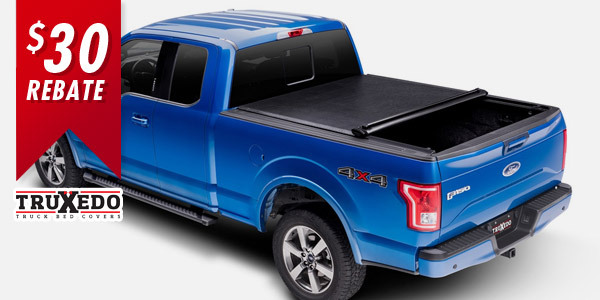 Purchase a Ultra Flex Bed Cover and get a $75 Mail-In Rebate! All purchases must be made between March 1 - March 31, 2018. 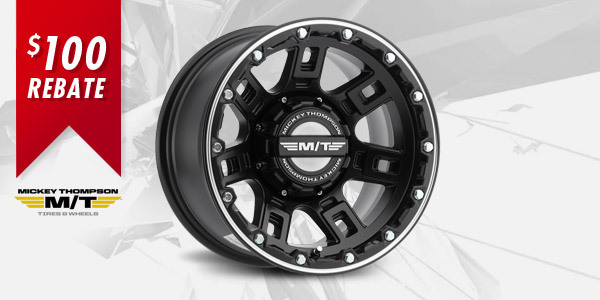 Purchase any set of 4 MT Wheels and get up to $100 Mail-In Rebate! Valid between March 1 to May 15, 2018.